Magazine camera model Vive No. 1, made by the Vive Camera Company of Chicago, Illinois. 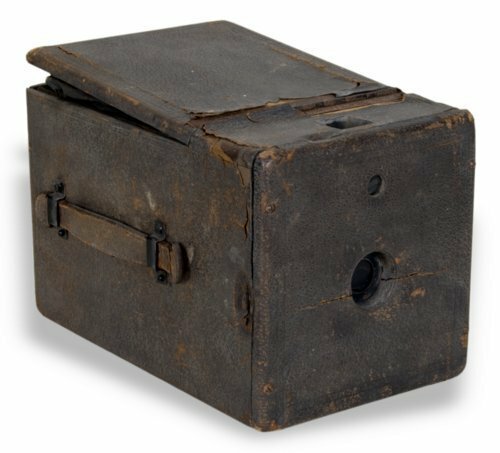 Black leather-covered wooden frame, vertical viewfinder, and fixed stop diaphragm. Used by Alice G. Sennrich, a well-known professional photographer in Valley Falls, Kansas, from 1902 into the 1930s.